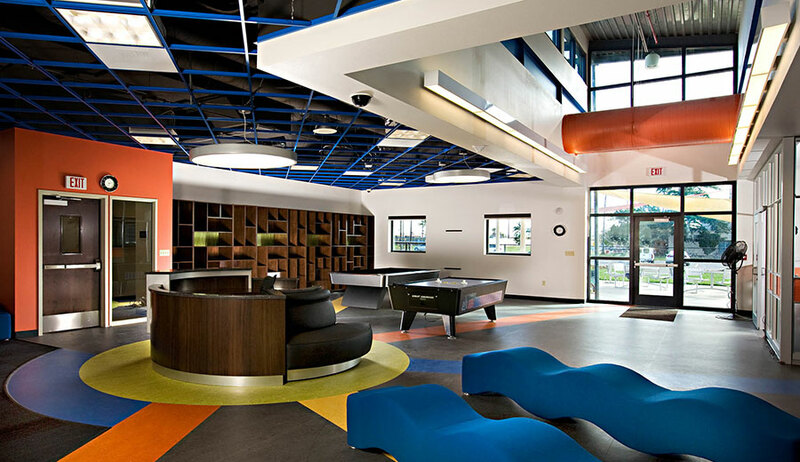 The $7.3 million Miramar Youth and Teen Center provides a localized oasis and refuge for military children from ages 5 to 18. This exceptional social center makes excellent use of a confined space between the Base’s residential neighborhood and existing athletic/recreational use facilities. The 19,000 sq.ft. 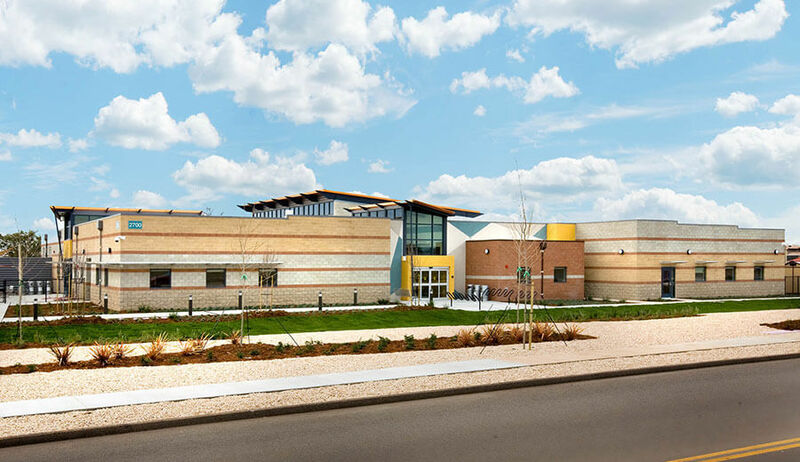 facility is constructed of varying-colored masonry block and includes classroom spaces, break and training rooms, a teen lounge and recreation area, a recording studio, kitchen, storage and support areas. 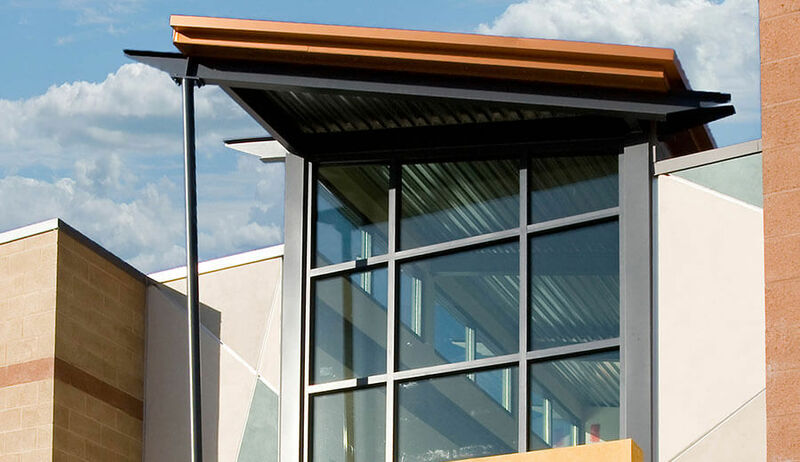 The building design reflects the youthfulness and whimsy of children, playing on shapes and color with exterior clerestory roof elements, deep overhangs and exterior solar shades to protect the interior from direct sunlight while maximizing natural light. 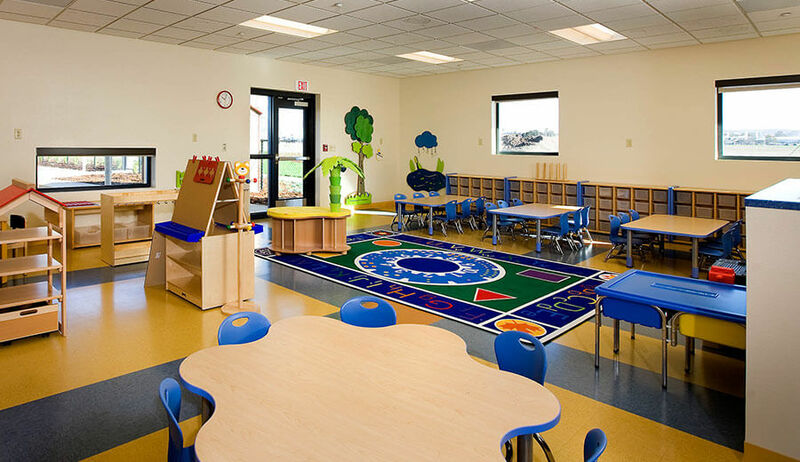 Specific features considerate of children include staggered window heights based on the ages of the children within the classroom. Along one façade, the windows zigzag around and the windows become taller and wider as the ages progress. Very small children can walk up and look out windows that are perfectly sized for them, bringing the scale of the room down to their size. 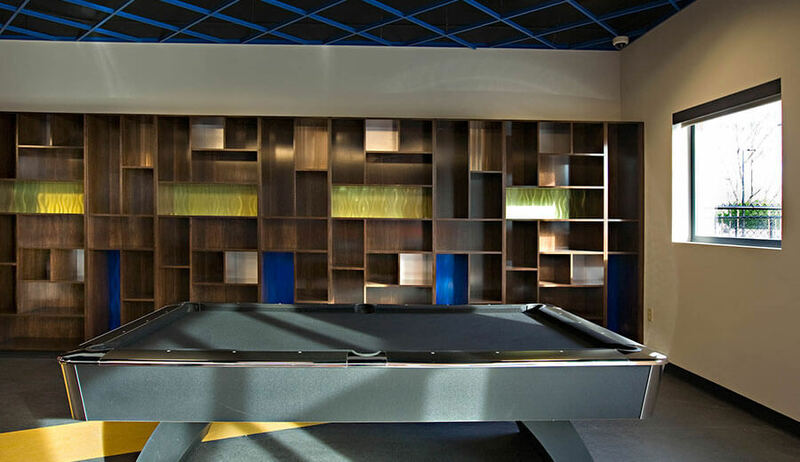 Each age bracket has a different color scheme along with different colored and appropriately sized furniture. 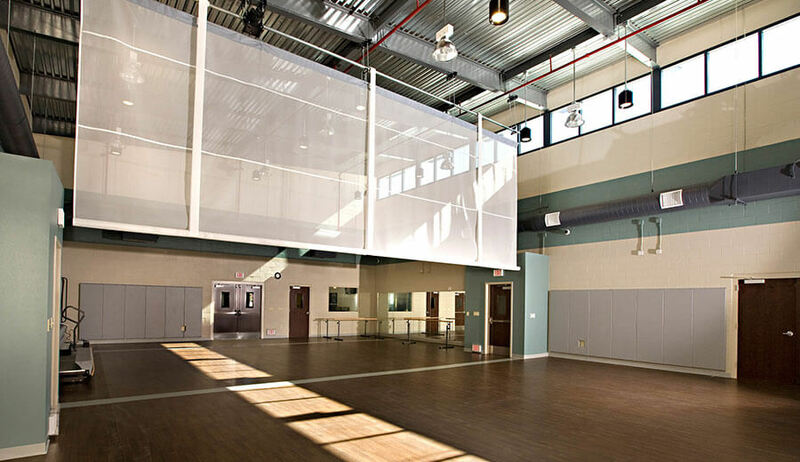 The facility includes numerous sustainable features which enabled it to earn a LEED Gold certification. This included such innovative design considerations as roof diverters to convey rainwater to a bioswale with native vegetation, and a reclaimed water irrigation system. The building also contains no operable windows to keep it highly insulated and energy efficient. 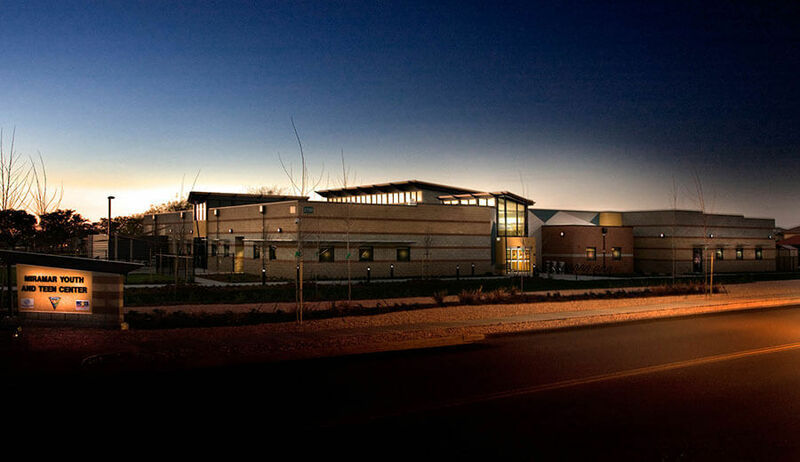 The success of Soltek’s design has made this facility into the model for all military youth centers across the country. Awards/Recognition: -The facility has received LEED Gold certification by the U.S. Green Building Council and the American Public Works Association, -San Diego and Imperial County Chapters 2010 – Sustainable/ Green $6-25 Million Project of the Year Award.